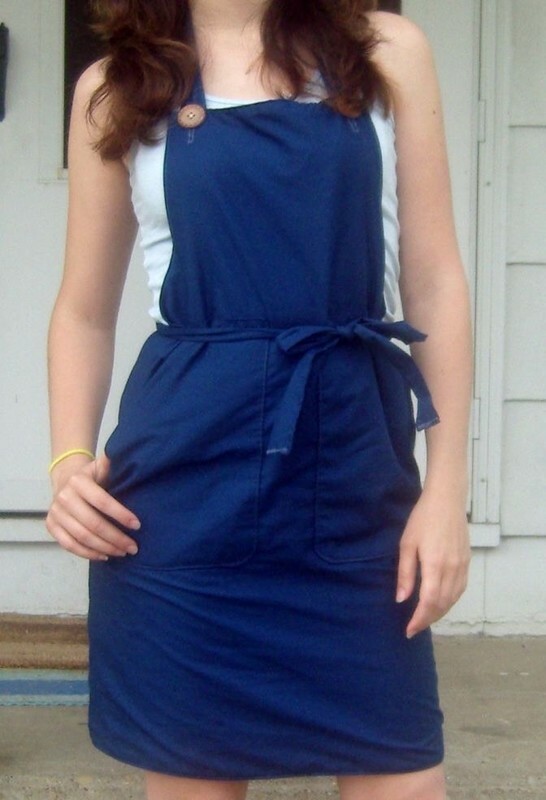 A trendy apron dress. Make it soon or you won't be able to wear it! 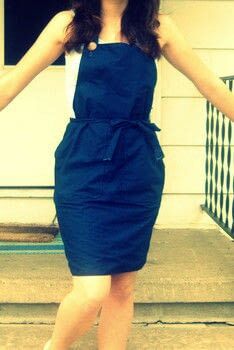 Here is my apron dress inspired by the apron dress by Gap. Its is VERY easy. 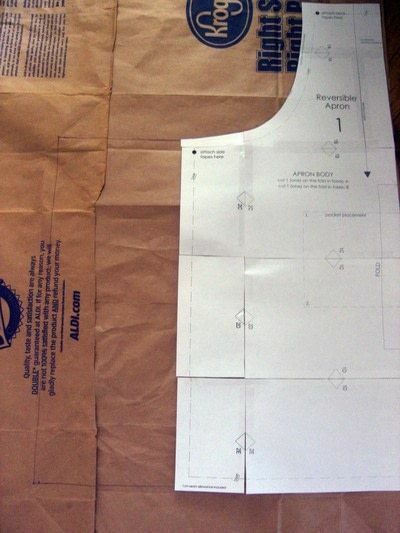 To make the dress pattern you need an apron pattern. I found mine, for free, at burda style. It is called the BSC Perth Reversable apron. 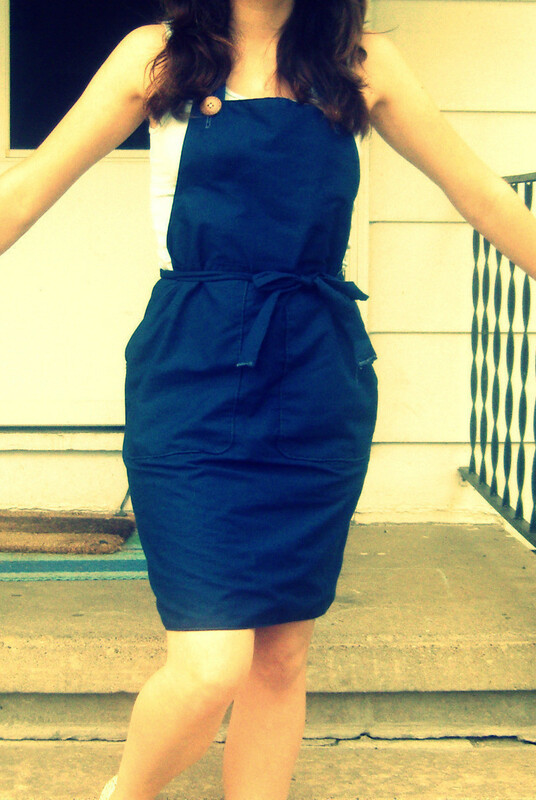 The shape of this apron was perfect for making this dress YAY!!!!! The first step is making your pattern. Measure the width of your apron pattern. If you used the BSC pattern it will be 24" wide. Now measure your hips. Subtract the width of your apron. Then, divide that number by two. Ex. My hip measurement is 37". 37-24(apron width) = 13. Divide 13 by 2 = 6.5. Add that number to both sides plus your seam allowance. 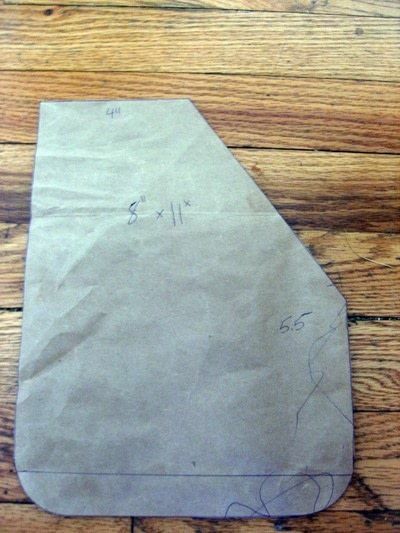 Place the pattern on your paper, grocery bags, or whatever and add the amount to both sides. You will need to also add length to your dress now. Place the pattern piece on the fold of your fabric and cut two. Iron on interfacing to the areas you will be making buttonholes. Line up the two fabric pieces for your apron and pin. Make sure the side with your interfacing is facing out when you do this. 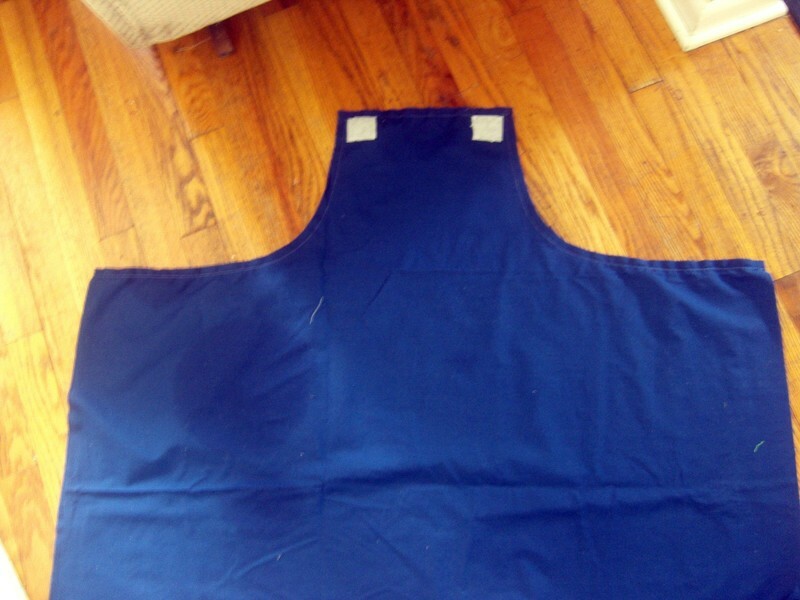 Then, sew around the top half of your apron leaving the sides and bottom open. I used a 1 cm seam allowance because of the pattern I was using. Turn your apron right side out and iron . Top stitch around the part the you just sewed. Make the pattern for your pockets. I won't go into detail on this but if someone is reading my website and wants the exact pattern piece I will make it available for download. Finish the edges of your pockets and sew them onto your dress. Pin the sides of the dress together and sew up the back of the dress. If you try on the dress now, you will notice that the back of your apron is very big and open. This is where you use elastic. Take a strip of elastic, at least as long as the opening in the back of your dress and zig zag stitch it to the back of your dress pulling as much as possible (this needs to be tight) Then make a tie for your apron. Cut out a rectangle 6.5" x 47". Fold it in half and sew the long sides together creating a tube. Then turn the tube right side out, iron, fold the open ends in and top stitch around the entire strap. You can attach the tie or just leave it. I centered the strap onto the back of my dress and then put a few stitches to secure it. Sew the buttonholes onto the top of your apron. Next make the halter strap for the top of your apron dress. I made the strap for my dress the same width as the tie for my apron. To determine the length, try the dress on and hang a measuring tape around your neck, like the strap will be. The ends of your measuring tape need to go below the bottom of your buttonhole. My measurement ended up being 21 so I pushed it up to 22. Follow the directions for the waist strap. 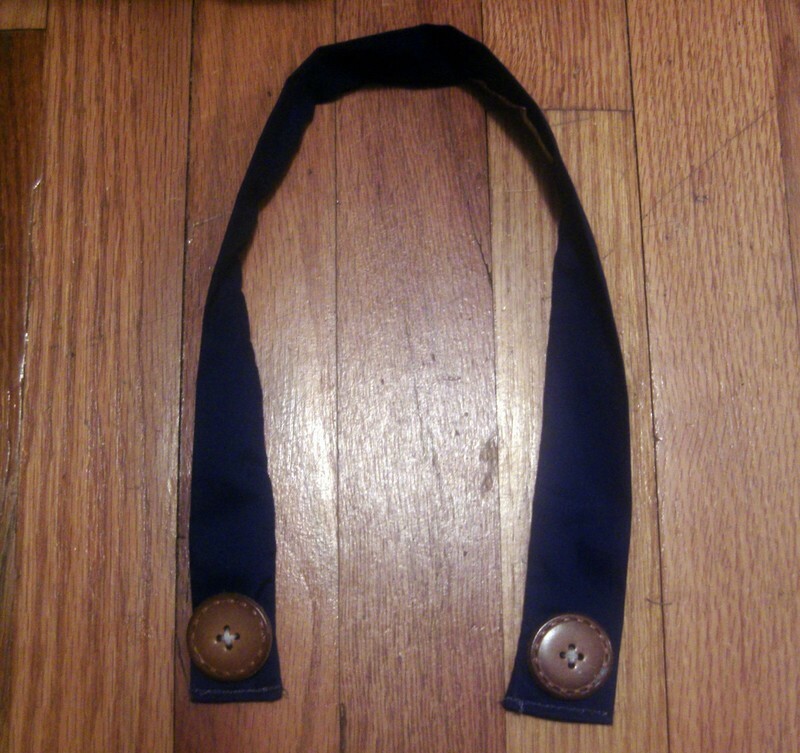 Then sew the buttons onto the end of your straps. If you are really cautious, like me, sew one button on, button it into the dress, and then try on the dress. I check and make sure the strap is the length I want it to be before sewing on the other button. Hem the bottom and you are finished.